Home » D'Lugo and DeFlora » Should You Have a Prenuptial Agreement? Summertime is typically the most popular time of the year to tie the knot. Regardless of what time of year you get married, before you say “I do,” you should consider a prenuptial agreement between you and your intended. There are two types of marital contractual agreements – prenuptial and postnuptial. These written contracts are voluntarily entered into and are completed once the couple has wed. The couple planning to be married decides how important financial matters will be resolved in case of divorce, separation or death. Florida Law has legal requirements for both prenuptial as well as postnuptial agreements to determine if they are enforceable. The first criteria must ensure that the agreement was not reached under fraud, deceit, duress, coercion, misrepresentation, or overreaching. The second criteria that must be met is the agreement is not unfair or unreasonable given the circumstances of the parties. It is important that these types of agreements are drafted in accordance with Florida Statutes and the applicable case law in order to protect the best interests of both parties. An attorney with experience in family and marital law can assist in the negotiation of the agreement terms and help to ensure your assets and income are protected. If you are considering entering into a prenuptial agreement, the law firm of D’Lugo and DeFlora, P.A. will work with you to create an enforceable agreement. Call 407-870-5551 for a consultation. We’re here to help! 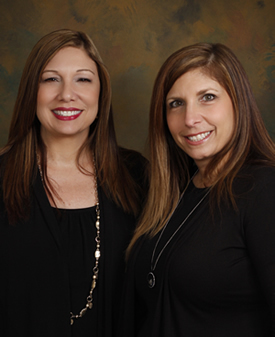 Our Kissimmee Family Law Practice serves Osceola County communities. Find us online at www.kissimmeefamilylaw.com.